Dundrum wins the ‘National Performance Pony of the Year’ Award! 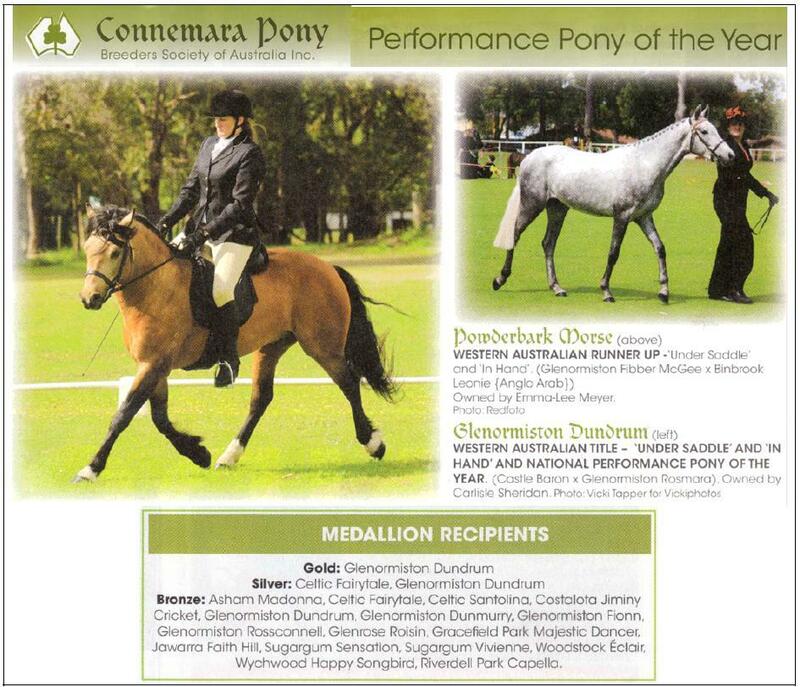 It’s official: Glenormiston Dundrum is the 2011/12 National Performance Pony of the Year in the CPBSA’s Performance Pony Awards. Dundrum also won the WA ‘Under Saddle’ and ‘In Hand’ titles, and is the first recipient of the Gold Medallion. Many thanks to Glenormiston Stud for breeding such a wonderful pony! Our homebred Powderbark Morse (by our other stallion, Glenormiston Fibber McGee) claimed the Runner-Up titles. We are so proud and excited about our boys’ success.